Thanks, Entangled Pub and NetGalley for this e-galley copy of the book! I'm not even sure what I even want to say about this book. I loved it, that's for sure. I haven't read many reaper books, but that could be also due to the fact that there aren't many reaper reads out there. Not being a fan of death, I was a little hesitant to begin this book. But not only was I hearing really good things about this book, there was also the fact that this book had an awesome story line. I mean, how sweet is it that a dead guy is in love with a living girl? 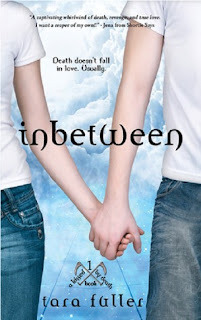 What I really liked about this book was the alternating point of views between the two main character, Finn and Emma. Not only did I get to see how tortured and love-filled Finn was, but I also got to get into Emma's confused and frazzled mind. Finn, no matter how stalker-ish he seemed to be, had honest intentions to protect Emma even if he is breaking all the rules. And then there was Emma who was sweet and determined and . . . falling in love with a dead guy. I loved this book. The idea for it was tragic and heart wrenching. I could not stop reading it on my laptop, speeding through all the pages, waiting to see what will happen for Emma and Finn. Maeve was such an evil villain and a good antagonist at that. She created such a problem for Emma and Finna and I would find myself frowning and pulling back from my laptop thinking, 'Man, she is eeeeviill. Must you do that to poor Finn?'. Gasping was probably involved in there somewhere, too. 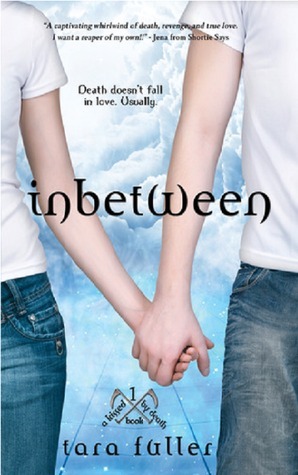 It was so good I'm not sure what exactly to say about Inbetween. This wasn't the kind of book I usually read. The whole book mostly centered around the romance, but obviously I didn't mind it much since I'm writing a positive review about it here. It was dark with a glimmer of hope surrounding the entire story, sweet and surprising and an entertaining read for those who enjoy both contemporary and action-packed novels. I can't wait to read more by Tara Fuller and I hope to read many more sweet and dark stories. Great review! I'm really excited for this book and it sounds like I will really enjoy it. I haven't read any books with reapers so I'm definitely interested in that aspect of it. I also don't mind that the story is romance centered since I love a good romance story :) I can't wait to read this one now! I enjoyed this book too. Good review.